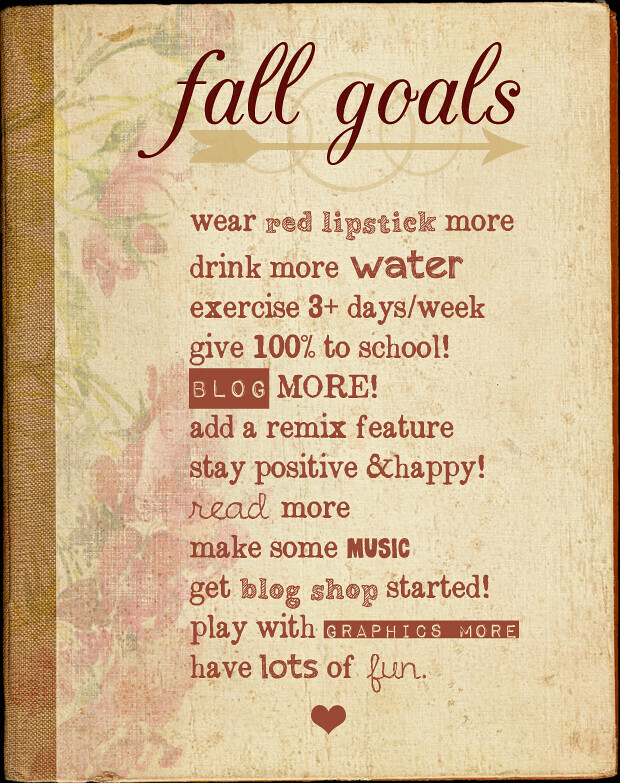 These sound like great goals! I love making goals and then checking them off a list, it's so satisfying. what a lovely idea. And I see you are already working on one of your list (playing with graphics). this list is so pretty the way you put it together.